Many people have a bad habit of starting various endeavors but never completing them. They place many irons in the fire but never keep any in until they are hot enough. This often occurs because these individuals are trying to tackle too much at once. In order to be able to focus we must build concentration, which comes from practicing meditation and mindfulness daily. Through the practices we see the nature of our wandering mind. The object is not to clear our mind, but to be able to catch it when it wanders and come back to the present. As a part of my series about “How to Slow Down To Do More” I had the pleasure to interview Damon Nailer. Damon is a New Orleans native who currently resides in Monroe, LA. Damon is a mentor, motivator and educator and musician. 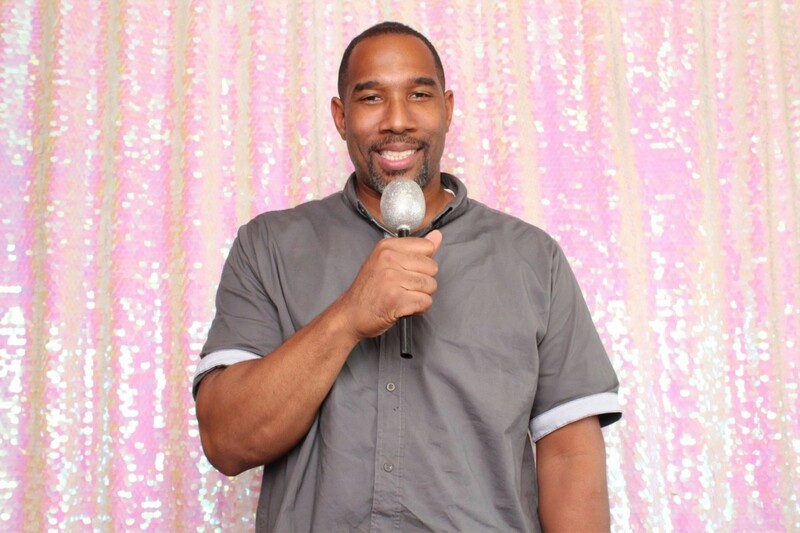 Damon has served as an elementary educator for 7 years and is currently serving as a parent educator and he has published three books, The Great Taste of Success, A Greater Taste of Success, and Revelation Rightly Revealed. His fourth book, Living, Loving, Leading, is being published soon. Damon has conducted 350+ performances/speaking engagements throughout the US in a variety of settings; he served as the owner of a janitorial service for 12 years, he has released six musical projects, and most recently, he created an online school- RilLifeAcademy. 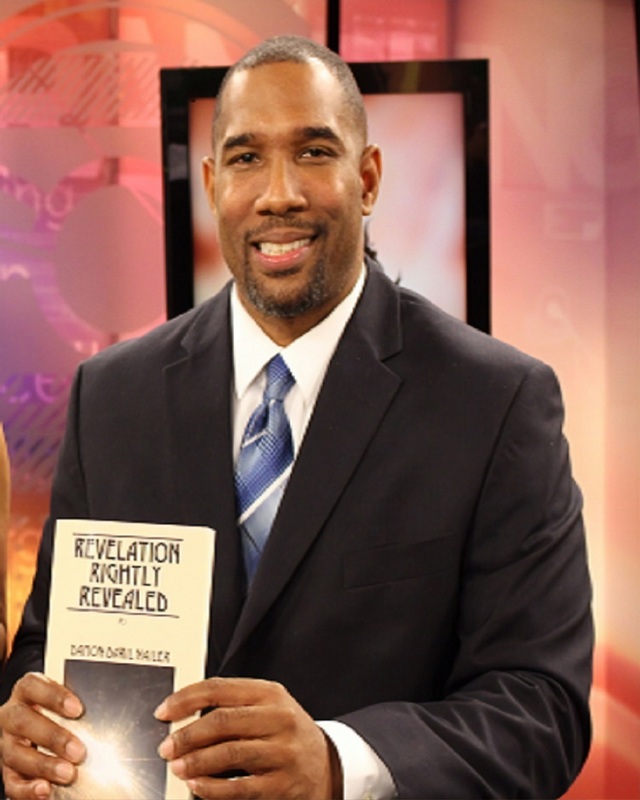 He has been featured over 100 times in various online publications including The Huffington Post and Reader’s Digest, TV shows, podcasts, radio shows, newspapers, and magazines. On the personal side, he is a devoted husband and proud father. My journey to becoming an entrepreneur, motivational speaker, parent educator, and author is an interesting one. I began my professional career as an elementary teacher. I taught third grade for two years and fifth grade for seven years. During the first 4 years of my teaching tenure I was excited about serving as an educator. By the fifth year, my passion for teaching began to dwindle as my desire for producing music and public speaking began to increase. The last two years of my teaching career were extremely difficult. I was frustrated and burnt out. Finally, after completing my seventh year, I decided to launch out and pursue entrepreneurship specifically motivational speaking, writing, and music production. Once I stepped out, things were going well for a while and then, I hit a wall. It was at this juncture that I started a janitorial business with a partner. I ran the cleaning business while speaking, writing, and performing. After 12 years of being a business owner, I was able to release the janitorial company and transition into my current profession as a parent educator while continuing to write books and conduct speaking engagements. No, I do not think it has always been this way. I believe this fast pace rat race of a lifestyle can be attributed to the advent of modern-day technology whereas almost everything is done and captured in real time. In the past it took more time for news to travel and for updates to be made. Currently, stories/events are updated much more rapidly even within minutes in many cases. Because of this everyone must accelerate his/her life just to keep up and remain relevant with what is transpiring. Additionally, this is an age where we are seeing a prevalence of ADHD. A segment of our population has such a shortened attention span that as a society, we are required to make constant changes to sustain their attention. Subconsciously, it’s causing everyone to become bored quickly while also possessing a need to multitask and try a variety of new things often which is resulting in us going from one adventure to the next at lightning speed. Slowing down to do more is imperative because when we travel through life at a rapid pace, we’re often hitting and missing while simultaneously being inefficient as well as ineffective. Also, we tend to miss out on special moments that require patience and concentration to observe. Lastly, being rushed causes anxiety, stress, and even panic attacks resulting in feelings of depression, discouragement, and defeat. If we could slow down, it will enable us to concentrate on a few things instead of being distracted by many. This will lead to efficiency and effectiveness because you’ll be able to focus your energy towards specific tasks. Also, since you will have less duties to perform, you will create time for leisure activities as well as much needed rest. Another benefit of slowing down is that you will become more attune to details and the various components of your experiences creating a broader, more comprehensive outlook on life. 1. Prioritize- we must be objective, even brutally honest about what is and what is not important. I can recall serving in about 15 ministries while attending a church. I was spread so thin that I barely had any family/personal time. I took a step back, examined my gifts, and decided what ministries aligned with my talents and which ones did not. 2. Streamline– Once you have arranged things in order from most important to least important, it’s time to cut out any extra activities that can stand to be eliminated. This was the next step I implemented once I prioritized the ministries. I withdrew from most of them but remained a part of the top three which utilize my talents to the greatest extent. 3. Delegate- you must entrust some of your more tedious, mundane, simple tasks to othersto take some of the pressure and workload off of you so you can slow down. Oftentimes we are needlessly overworking ourselves. While owning a janitorial company, my partner and I decided to hire employees to share the burden. This was a remarkable decision. It lightened our load plus created more free time for us. 4. Organize- I always say, “Plan, plan, and plan”. The more organized you are, the less stressed you will be. It’s great if you can work far in advance to finish certain projects or if you can create great systematic procedures for accomplishing your goals. This will undoubtedly help you not to rush because you won’t have to do things at the last minute. I have designed a format and routine for creating all my works- books, music CD’s, speeches/lessons, and online courses. I begin ahead of time and go step by step. 5. Complete One Endeavor at a Time- many people have a bad habit of starting various endeavors but never completing them. They place many irons in the fire but never keep any in until they are hot enough. This often occurs because these individuals are trying to tackle too much at once. Even if you have multiple projects, you should focus on one until it’s completed before moving on to the next. In the past I have released a book and CD at the same time. However, as far as the preparation and procedure for both undertakings, I made sure to devote the majority of my time/energy to the completion of one before I shifted to finishing the other. 6. Schedule Your Life- If you don’t have a planner, it would be a good idea to purchase one or find an online calendar to assist you. We need to visualize our days, weeks, months, and year. Personally, my schedule is so hectic, flexible, and unpredictable that I cannot afford to neglect writing my appointments and obligations on a calendar. Each day my tasks/time varies. Certain days I have to teach classes, participate in meetings, attend extracurricular activities with my children, conduct speaking engagements, etc. Therefore, it is imperative for me to know my availability, so I won’t miss anything or overbook myself. Mindfulness is the ability to be in the present moment; to concentrate solely on what you are currently experiencing; and to thoroughly embrace the varied aspects of any encounter. For example, when my family and I vacation, we make it a point to dine at restaurants which are not located in our city. When we initially arrive, we pay attention to the ambiance, how we’re greeted, the length of time it takes to be seated, and how the server responds to us. While there we make sure to try almost everything the establishment offers- appetizers, entrees, special drinks, and desserts so we can enjoy the full experience. Normally, we turn off our electronic devices which enables us to thoroughly appreciate each other’s company without being distracted. Be mindful and cognizant by paying attention to each part of your daily routine. When you arise, pay attention to the weather. If you are a coffee drinker, enjoy each sip of your favorite blend. As you travel to and from work, observe the activities, sights, and sounds of the various settings. While at work, give attention to the details of whatever tasks you fulfil. When spending time with your family or alone, turn off or minimize the use of technology, radio, and television so you can wholeheartedly engage in meaningful quiet time, meditation, dialogue, and/or interaction. 1. Create a to-do listfor each day. This will enable you to devote your attention to each specific activity without having to worry or wonder about what comes next. 2. Set reminders on your phone or computer so you can utilize your time wisely and be able to transition from one project to the next. 3. Enjoy short private breaks so you can release some stress and exhale for a moment enabling your mind to relax and recharge. The Power of Positive Thinking by Norman Vincent Peale and Think and Grow Rich by Napoleon Hill. “Focus on your destination but make sure to enjoy the trip.” Sometimes we can become so preoccupied with the intended goal/end game that we forget to fully take in the process by enjoying each step of the way and paying attention to the details. Being a frequent traveler and a goal oriented individual, this has enabled me to become more observant, patient, and mindful of each experience/encounter. I soak up every aspect of all of my adventures/activities. Maximizing Moments:a list of principles/activities for appreciating each day and each experience would be taught throughout the various societal systems- educational, corporate, nonprofit, governmental, religious, etc.